Credit Card Information | What is Credit Card Information? Do you know what your most important business asset is? Even though things like your retail space, stock and business equipment are strong contenders for the title, they’re not so essential that you couldn’t replace them. If you’re smart, then you probably already have an insurance policy designed to do just that. Your corporate credit card information, on the other hand, isn’t quite such an easy loss to swallow. From hacks and data breaches to outright theft, many events can expose the heart of your enterprise to bad actors unless you take steps to fight back. What Is Credit Card Information? Credit card info includes a variety of important details that let payment processors conduct transactions charged to your account. Some of this data, like the credit card number, cardholder name and CCV code, is on the card itself. Other info exists on your bank’s servers where it’s used to verify you whenever you make a purchase. How Is Credit Card Information Used and Abused? The glaring problem with the standard arrangement is that it does little to stop credit fraud. To use your credit account, all someone needs is the physical card, so they can steal from you simply by getting their hands on it and swiping as usual. If they’re an employee, as in one case where a man stole about $60,000 from a family-owned business founded by his father and uncle, their illicit use of a company card might eventually spiral out of control. Anyone with credit card data and sufficient knowledge about the cardholder can make purchases online without having the card. Although this is convenient for you, it poses a heightened danger: All thieves have to do is copy the payment information and squirrel it away to fund their nefarious purchases. Opportunity is a commonplace motivating factor that plays a role in many theft cases. Companies that entrust their staff with credit card data, such as small businesses whose workers have to perform multiple roles, face clear hazards. The way credit cards operate inherently makes it harder to control how your payment credentials get used. 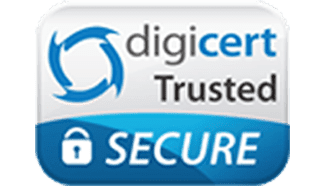 For many businesses, the fact that credit cards are tied to a single account also makes it prohibitively time consuming to trawl through old transactions in search of unauthorized activity. The result is that using corporate credit cards often invites more trouble than it’s worth. Do you simply have to resign yourself to the fact that people are going to steal from your company? Fortunately, there are far better alternatives. Bento for Business lets you give workers the cards they need to make purchases without staying up all night wondering whether they’ll follow the rules you so carefully established. For as little as $29 per month, you can set up 10 employee cards that only work for the purchases that you designate as approved, such as fuel or office supplies. If you need to modify your configuration, you can do so from anywhere via the handy app. Since you preload the cards, there are hard limits on how much you risk in exchange for payment flexibility, and thanks to FDIC insurance of up to $250,000, you always have a backup plan. 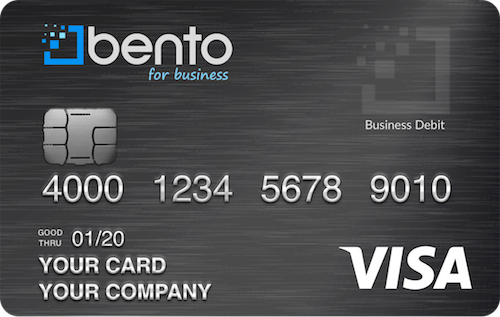 Bento for Business makes it so that you can pay without the fate of your company resting on how well your credit card information stays protected. Learn more by taking 60 seconds to sign up for your free 60-day trial today or call us at 866.220.8455.